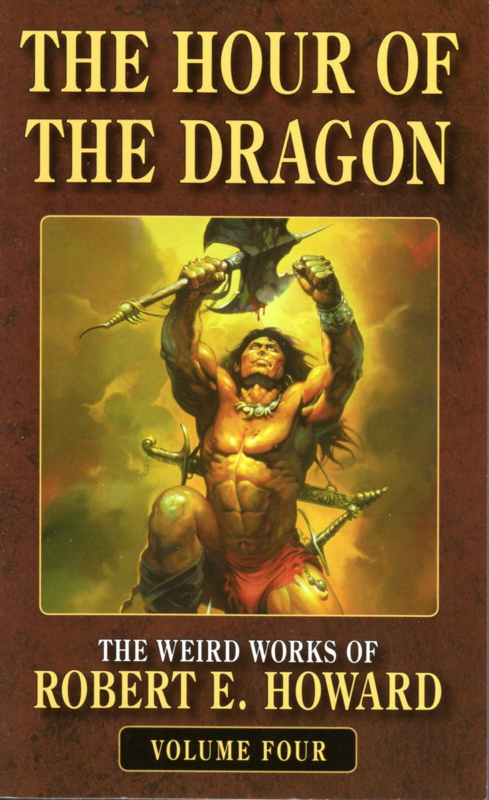 Robert E Howard stands astride the world of American literature as a forgotten titan. With hundreds of stories and poems to his name, he built a bibliography that dwarfs any ten modern writers by the age of thirty. He wrote in a vast array of genres, from Westerns to spicy romances, light-hearted humourous tales to gritty detective tales. 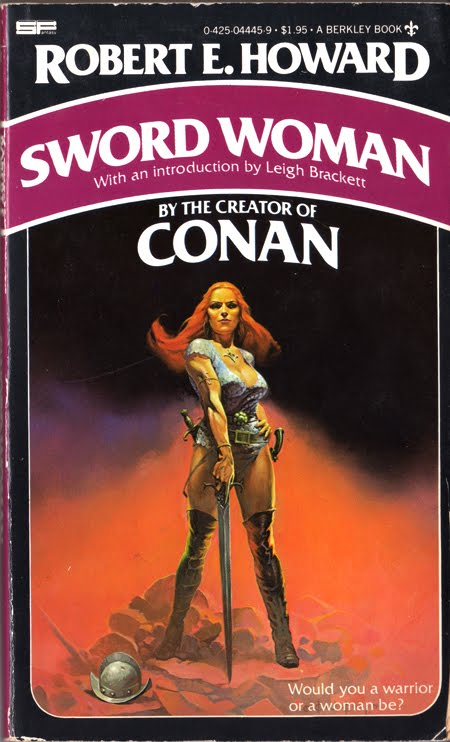 Most of all, he is remembered for creating the genre of sword and sorcery, in the colossal figure of Conan the Cimmerian. 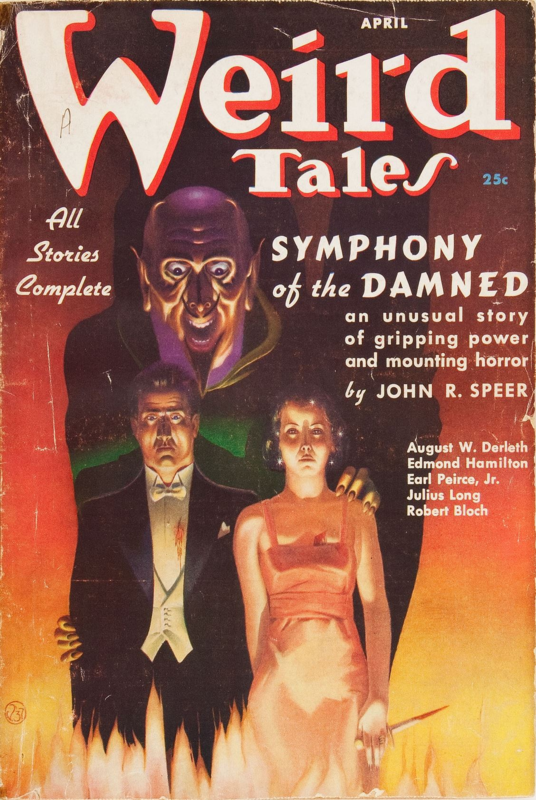 There are many reasons why Howard is recognized as a grandmaster of the pulps. His prose is vivid and masculine, engaging the senses and focused on driving the story forward; his long experience crafting poetry lent his best stories an air of glamour, exoticism, and haunting, otherworldly beauty. His characters are memorable and the action scenes unparalleled. Whatever he set out to accomplish in his fiction -- to transport the reader to a land beyond the reach of recorded the history, to excite him with tales of derring-do, to inspire passion and romance and laughter -- he achieved. His sheer output alone cemented him as one of the most prolific writers in history. But beyond the surface, Robert E Howard provides a vision of moral clarity and masculinity. Howard's childhood days in Texas left its mark. As a boy he was weak and sickly, but through a daily regimen of hard labor he built himself into a strong and buff man. The son of a doctor, he was frequently exposed to injury and violence. Boxing became a passion, and he sought out stories of gunfights, lynchings and feuds. Living in an oil boomtown, he saw firsthand the impact of Big Oil. These experiences are echoed in his writing. Howard's heroes are all, without exception, men of action and vigor. Possessed of extraordinary strength, reflexes and fighting spirit, they are representative of Howard's ideal man -- and likely the man he aspired to be as he trained himself. Direct, brutal and straightforward, they face their enemies head-on and destroy them in open combat with fist, knife, sword, axe and gun. There is no room for doubt in their hearts; whenever at a loss, they simply gird their loins and advance on the nearest enemy. More than just fighting-men, they are also men of honour. The inestimable John C Wright wrote that Conan represents a pagan moral core: no forgiveness, no mercy, no faith; but courage, honor and loyalty are held in high esteem. 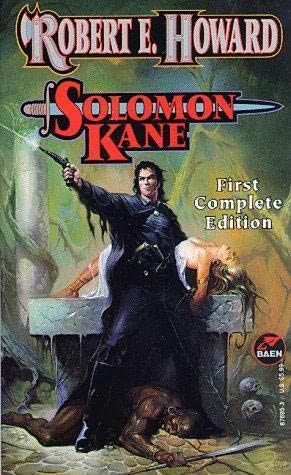 Solomon Kane represents a Puritan Christian morality: an unquenchable desire to destroy evil and protect the innocent. Even Howard's less-admirable characters, such as the racist braggart Steve Castigan or the mentally under-developed Breckenridge Elkins, are brave, honourable men in their own right. Howard's heroes shine all the brighter, for they live in lands and times beset by great evil. Especially the evil that is civilisation. Howard gazes upon civilisation with a jaundiced eye. Traitors and schemers haunt the courts of kingdoms and empires. Tyrant-kings, black-hearted bandits and corrupt priests rule with absolute authority. In The Slithering Shadow, Conan encounters a fabulous city in a desert whose inhabitants spend much of their lives in a dream state, induced by the black lotus. These settings reflect Howard's own biases and experience. In 1920, the Vestel Well of his hometown of Cross Plains struck oil. The oil boom caused a population explosion -- and a crime explosion. He saw the violence and vice that came with what the world saw fit to call 'civilisation', and conveyed his lived experience in his stories. The stark contrast of fierce, manly, principled heroes hailing from a rugged land juxtaposed against decadent cities, countries and courts speaks to the primitive instincts in man. Civilisation brings out the worst in men; even a pagan barbarian from a savage land can be counted on to act more honourably and decisively than someone from an allegedly civilised land. Howard's action-oriented stories are a call to arms and adventure, to cast aside the confines of civilised norms and embrace the savage within, to plunge into the darkness to win gold and glory by blood and steel. The cyclical rise and fall of civilisation is a recurring theme. A civilisation grows powerful, reaches its peak, becomes decadent, and collapses. 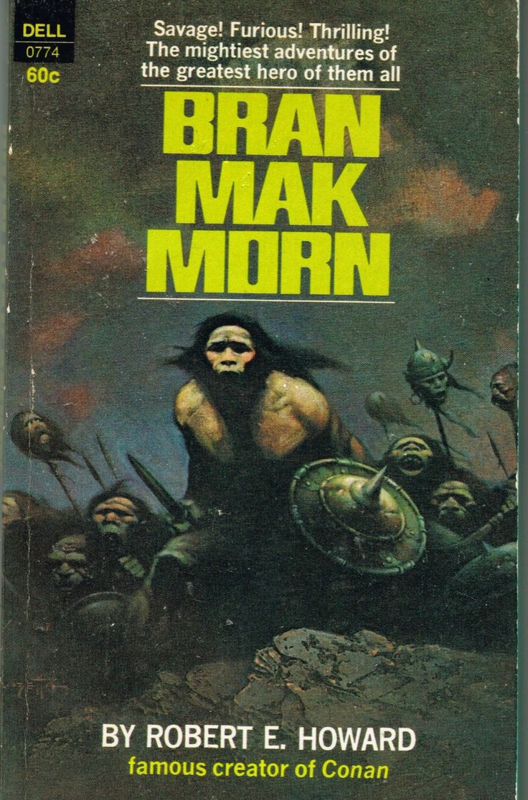 The Conan series are set in the mythical Hyborian Age, an age supposedly lost to the mists of time, yet itself populated with long-dead empires. Likewise, his other stories portray either declining empires or their ruin. In this combination of savage maen and fallen empires, Howard communicates two key ideas: civilisation doesn't last, but masculinity endures. Vast gulfs of time and space may separate nations and races, but masculinity is universal. Masculinity features heavily in Howard's writings, but to call his body of work an overdose of testosterone would be missing the point. Romance features heavily in his works, where he presents his vision of an idealized femininity. Yes, the women are universally described as beautiful. But they aren't mere eye candy either. They are teachers and temptresses, slave-girls and sacrifices, warrior maidens and royalty. The best among them display the finest traits of femininity. Strong of heart and spirit, passionate and virtuous, intuitive and empathetic, they perfectly complement the bold, action-oriented heroes of their stories. Their presence inspires the protagonists to acts of valour, and in so doing prove themselves to be men. Howard also doesn't shy away from the worst of womankind. Female spies, honeypots and temptresses populate the pages of his work, using cunning, deceit and feminine wiles to cheat or destroy the hero. It's an oft-seen trope that Steve Castigan and Breckenridge Elkins will never, ever, encounter a woman who won't trick them. Here Howard presents the dark side of femininity, the counterpart of the male villains who star in his works. The underlying message in Howard's romances is clear: none but the brave deserve the fair. To count himself as among the brave, a hero must prove himself with some feat that captures the attention and affection of the heroine. Stories with female villains issue a different message: do not blindly trust women, especially those who seek to con or kill you. Castigan and Elkins consistently fail to learn this, to their unending sorrow (although, to be fair, the moment they settled down, there would be no more stories to tell). Only women of virtue win the hero's love or respect; villainesses are usually defeated and receive their just deserts. Howard's writings present an uncomplicated, unalloyed and uncompromising vision of masculinity. Strong, bold, honorable, decisive, intelligent, determined, his heroes are men all men can aspire to become, and are given free roam in fallen lands that allow their virtues to shine brightly. Through strength of arms, courage and cunning, they earn everlasting glory and the love of deserving women. In his stories, Howard presented the great Texan myth of self-reliance, independence, boldness, strength and ruggedness; and universalised these values by implanting them in his many, many heroes. By presenting men with an image of his vision of the ideal man, he showed them how they, too, could become men. Howard wrote absolute, universal truths about masculinity and morality with stories and characters readers across the ages could love. In so doing, he earned his place as a master of the craft. If you enjoy stories about decisive, action-oriented men, check out my latest novel HAMMER OF THE WITCHES. To stay updated on my stories, news and promotions, sign up for my mailing list here. Edgar Rice Burroughs' heroes displayed the same virtues. Virtue may become unfashionable according to the spirit of the age, but it never goes away because it is inherently true and something people long for. 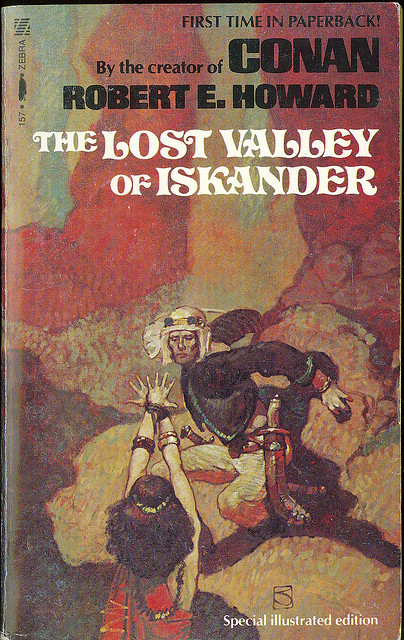 Check out Harold Lamb stories, especially those about Khlit the Cossack, a certain inspiration for REH (not to mention a writer from the "slicks" REH never himself got published in). Dozens of incredibly entertaining stories await!